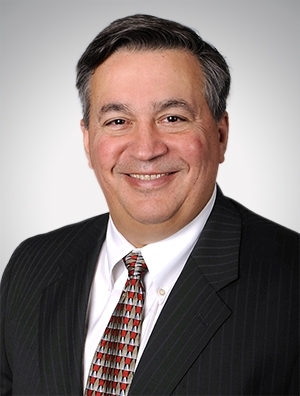 Philip Martino concentrates his practice in commercial bankruptcy litigation. Since January 1990, Mr. Martino has been a member of the panel of bankruptcy trustees for the Northern District of Illinois. As trustee and as attorney for the trustee, he has been involved in virtually all aspects of Chapter 11 and Chapter 7 bankruptcies. In re Giordano's Enterprises, he was appointed chapter 11 trustee and oversaw the restructuring of a company with substantial franchising, real estate, and restaurant businesses. Ultimately, the stabilized assets were sold for over $70 million. Mr. Martino has represented national and regional banks and financial institutions as secured, undersecured, and unsecured creditors in all types of workouts, both in and out of court. These representations have included manufacturing facilities (with real, personal, and intellectual property), distribution centers, and all types of real estate. Mr. Martino has represented a number of franchisors in connection with chapter 7 and chapter 11 franchisee bankruptcies. The issues raised in those cases include the enforceability of arbitration agreements or covenants not to compete; jury waiver clauses; the rejection of franchise agreements; the assumability and assignability of franchise agreements; successor liability; whether a franchise agreement and corresponding real estate and equipment leases must be treated as a single contract; whether equipment leases are legally leases or are disguised sales; and contested confirmation hearings. Mr. Martino has extensive experience in single-asset real estate bankruptcies, having represented lenders, developers, and lien holders. He successfully defended the largest former shareholders against federal and state fraudulent conveyance actions brought by the debtor in bankruptcy litigation involving the leveraged buyout of a large chain of department stores. Mr. Martino also has successfully defeated a number of attempts to subject insurance insolvency proceedings to the jurisdiction of the federal bankruptcy courts. Mr. Martino has spoken on various bankruptcy and litigation issues at seminars presented by the Illinois Institute of Continuing Legal Education, the Chicago Bar Association (Foreign Investment in Real Property Sub-Committee and the Real Property Finance Sub-Committee), and the American Bar Association Forum on Franchising as well as by for-profit companies.